An anti-Israel University of California at Davis student leader claims that she has been unfairly attacked over a pro-Hamas Facebook posting by a group of nebulous "Zionist lobby groups," according to an article she wrote Tuesday in The California Aggie, the school newspaper. Azka Fayyaz, a member of the U.C. 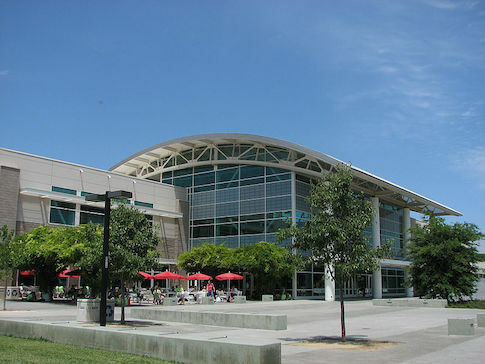 Davis student senate, has come under fire in recent days after she wrote that "Hamas and Sharia law have taken over UC Davis" following the successful adoption by the student council of a resolution to boycott Israel. Fayyaz, a member of the student council that voted in favor of the anti-Israel resolution, said that she has been unfairly targeted by "the Zionist lobby groups" since publications including the Washington Free Beacon published her comments. The U.C. Davis divestment vote caused a controversy after it came to light that Muslim activists on campus heckled pro-Israel students and chanted, "Allahu Akbar" at them. "If a movement is not controversial, if no one is mad, it’s not strong enough & it’s not worth the fight. Israel will fall insha’Allah," Fayyaz wrote. However, Fayyaz said that she is a victim and that her postings were satirical in nature. "More specifically, these communities have violently stalked me on Facebook and reported the contents of my profile to the Zionist lobby groups which they have been paid to represent," she wrote in a "letter to the community" published by the Aggie. "Furthermore, the very caption on my picture was verbally presented at ASUCD Senate hearings in 2013 and 2014 by the anti-divestment community and such discourse is also presented by Zionist lobby groups worldwide but because I, a veiled, Muslim, divestment and BDS-supporting senator, decided to use it in a satirical and ironic context after the passage of divestment, I was singlehandedly and wrongfully attacked. My hope is that any intelligent person is able to discern between satire and fact," she said. Fayyaz says that she has since "received hateful emails and violent messages and was labeled as an anti-Semite, a spokesperson for Hamas and a Jew-hater," according to her post.